I absolutely blew through this book. I couldn’t put it down. I was immersed in the life of Robert (Bob) Finlay and all that happened to him. 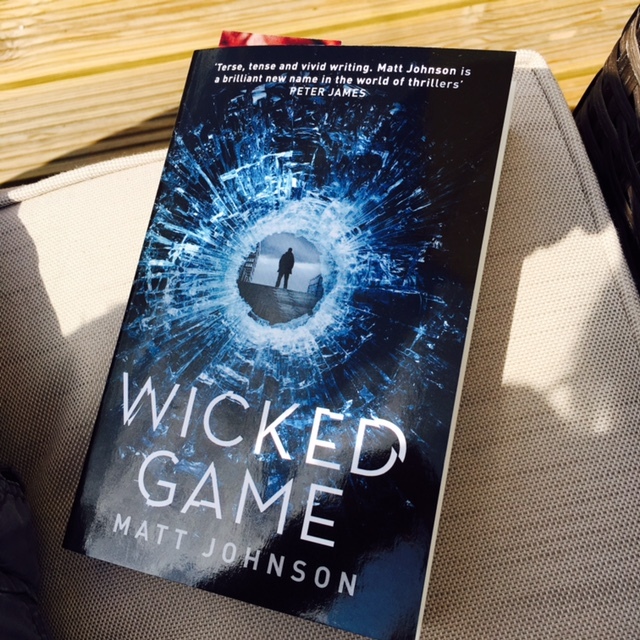 The authenticity that Matt Johnson’s own life has brought to the novel is obvious from the outset and with the book reading in first person PoV you do feel as though you are living someone’s life. What I particularly liked about this, and I don’t really read many thrillers of this type, is how Finlay is an older male who is settled down with a wife and child and is feeling his age a little. He’s not some fit, handsome superhero. He’s an ordinary man, who has made career choices that have put him in extraordinary situations, which in turn have led him down a path where he has to face difficult decisions. It’s this normality about Finlay that appealed to me and kept me reading. The believability of the story. The authenticity. Even if you don’t normally read this kind of book, I’d really recommend you give it a try. You won’t be disappointed. With thanks to the author and publisher, Karen at Orenda, for my copy. Ex-forces and cop. You can tell. I know exactly what you mean, Rebecca, about wanting to read about ordinary people. To me, anyway, they’re so much more interesting than ‘superhero’ types. And this story does sound intriguing. Glad you enjoyed it. Thanks, Margot. It’s so much better when people are real. You can relate, even just a little. Even though he’s ex-SAS and is kind of not your average Joe, he’s retired and settled so not as fit or up to date with everything. It felt real. I really enjoyed it. Convinced me. Just downloaded it. Brilliant. Let me know what you think. Sounds like a book I’d enjoy very much too.